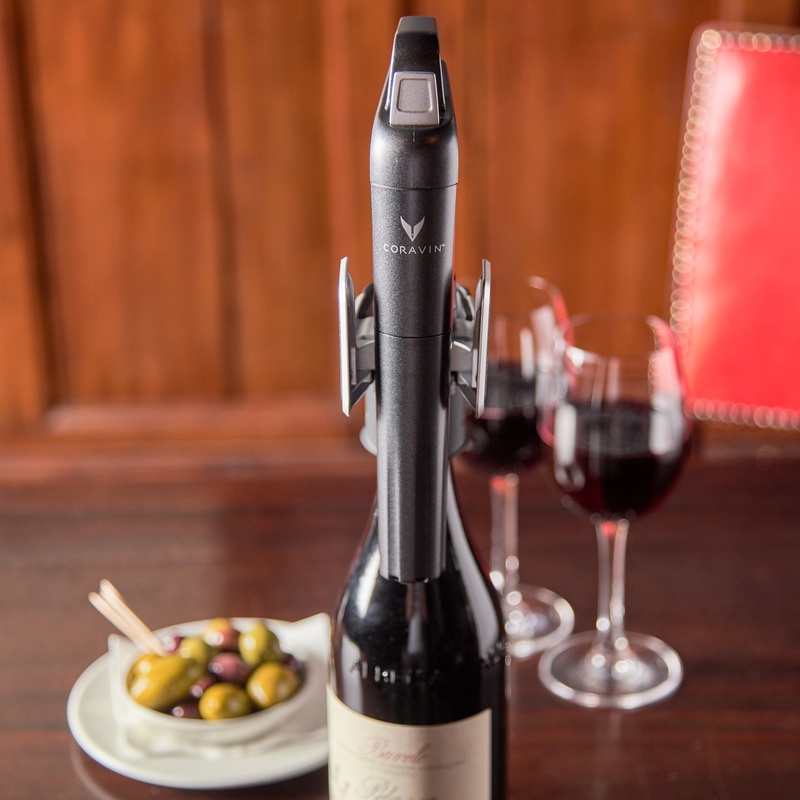 Coravin is a revolutionary device which allows the user to pour wine from the bottle without actually opening it. How does it work? A long, thin needle is inserted through the foil and cork, into the bottle. Argon – an inert gas – is then pumped through the needle, creating pressure which pushes wine back out through the needle. When removed, the cork re-seals itself meaning that the bottle can continue to be stored for a long time afterwards. Available at The Boot & Flogger, Davy’s at Canary Wharf, Davy’s at St. James, Bangers. We are looking forward to bringing you many more exceptional wines by Coravin in the future. Sign up to our newsletters below, follow us on social media, or speak with a member of our wine bar teams on your next visit to find out more. * Correct as of 19th March 2019. Wines and vintages may vary.